Your local agent is your dedicated partner when it comes to your move. They will serve as the starting point for your move, and will be with you every step of the way. If you need help finding a local All America agent, we can help. At All American Our standards are higher than most, which means we have more satisfied customers than other companies. 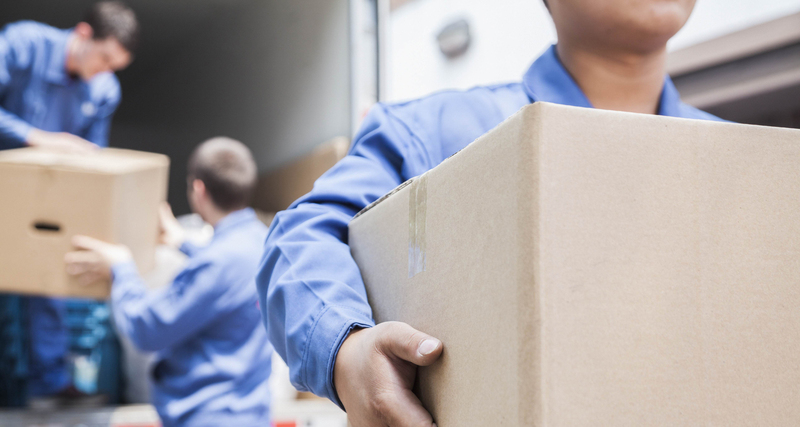 We’re committed to you every step of the way to make sure your move goes smoothly. We have thrived for years because we’re resourceful and adaptable, and those qualities have served us well in finding innovative solutions to each customer's moving challenges. No matter what type of move you’re planning, All American can handle it. From single-person relocations to large families and fast-paced corporate moves, we’ll tackle each one with industry-leading know-how and friendly professionalism. On moving day, you can relax and leave all of the hard work to the professional movers. When your driver arrives, he will conduct an initial walk-through of your home. This is a good opportunity to let the driver know what items will be shipped and which items will stay. This also allows the driver to visualize how your belongings will best fit in the truck. The driver and his crew will wrap furniture pads (specially designed blankets) around your furniture to protect it from scratches and other damage. Overstuffed furniture (couches, etc.) will be wrapped in stretch wrap to help prevent damage.Once an item is properly protected it will be loaded on the truck. After your belongings are loaded on the truck the driver will ask you to sign some paperwork, including the Bill of Lading, High Value Inventory, and Inventory.Your agent can answer any questions you might have about the progress of your belongings from origin to your destination. Agents are standing by to schedule your move date and provide estimates based on your needs.